Given current challenges in tech, media and the economy, a few people wondered whether we were a few sandwiches short of a picnic when we launched MAD//Fest London last November. So following a sold out launch, a hit and distinctively different format for connecting people in a pub and MAD//Fest being ranked the number 1 media influencer brand, it’s only natural that our next launch should be MAD//Picnic (10 July, Boiler House, Brick Lane). What’s MAD//Picnic I hear you ask? Well, it’s a picnic, possibly the UK’s biggest, and an exclusive gathering for 500 of the UK’s most prominent brands, agencies and publishers on Brick Lane. Like all good picnics, we’ll supply brilliant people, conversation, food, drinks and entertainment under whatever skies the Great British summer decides to throw at us. Unlike your average picnic, we’ll be serving up a mouthwatering line-up of town hall style keynotes, live and interactive brand challenges and semi-structured networking with the people who are changing the face of marketing, advertising and disruptive tech. MAD//Picnic isn’t the kind of place to sit comfortably in a dark room and attempt to absorb information whilst resisting the temptation to nod off. Frankly, we’ve tried standard conference formats in mid summer and they just don’t work. The whole day and evening has been designed to be practical, informative, interactive and social. The venue will be packed with picnic baskets stuffed full of goodies. All you need to do is use our app or good old fashioned networking charm to connect with innovators and like-minded industry influencers. The day is also about rolling up your sleeves and tackling brand challenges. Diageo and Schuh are among the brands who are looking for your ideas, creativity and smart thinking to overcome challenges and secure new opportunities. The challenges are open to everyone (not just start-ups), meaning you could be pitching your idea and winning over some of the best brands in the business whilst your peers and partners watch on. In between, we have some truly amazing keynotes from inspirational entrepreneurs and leading global brands to look forward to. 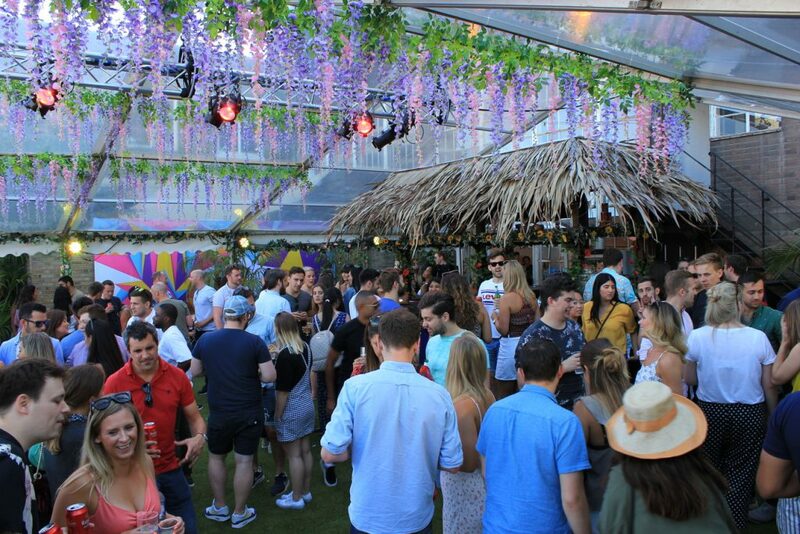 Once the serious stuff is done and dusted, we’ll throw an awesome party in London’s funkiest summer garden with top DJs, street food from Kerb, entertainment, live sport and hundreds of cool people to meet from across the industry. We strongly believe that you can inform, inspire and connect people more effectively when you loosen the top button and create a more fun, informal and laid-back environment. Just like life, marketing is no picnic. But if we’re all positive, open and collaborative, MAD//Picnic could make your job a lot less stressful and way more enjoyable. Sign up to our newsletter for the latest keynote announcements, brand challenges and VIP invitations. Email dan@madfestlondon.com if you would like to submit an idea for a speaker, brand challenge or sponsor.